Still grainy (sorry, but it’s right there!) about this whole or refined grains situation? Or if you are trying to venture into healthy eating incorporating healthier grains could be much better for your new found diet. Here are some you can take into consideration! Unknowingly, we consume refined grains in all our meals – because this is what we get from stalls. However, it being widely available does not make it the healthiest choice of grains. Whole grains are much healthier because the bran (outer layer) and germ (inner layer) are still present (these layers carry all the nutrients we need). Examples of whole grains are brown rice, quinoa, oatmeal, wheat and buckwheat. They contain high levels of dietary fibers while helping to lower bad cholesterol and risks of heart diseases. Whereas refined grains are stripped of all that nutrition and bleached. As compared to whole grains, it is easier to consume. Also as it is easily chewable, we tend to eat more than we actually need, as the body is tricked into thinking we need more carbohydrate. As a result, you tend to become prone to diseases pertaining to the heart, obesity and diabetes. Some foods that cause this damage on a very regular basis are our staple white rice and pasta. Perhaps the more commonly seen and used whole grain, brown rice is simply the healthier and unrefined version of our meal staple, white rice. It is much harder to cook due to the exterior of the rice grains, but you need less of it to feel full. A variety of it is available including red rice and black rice. 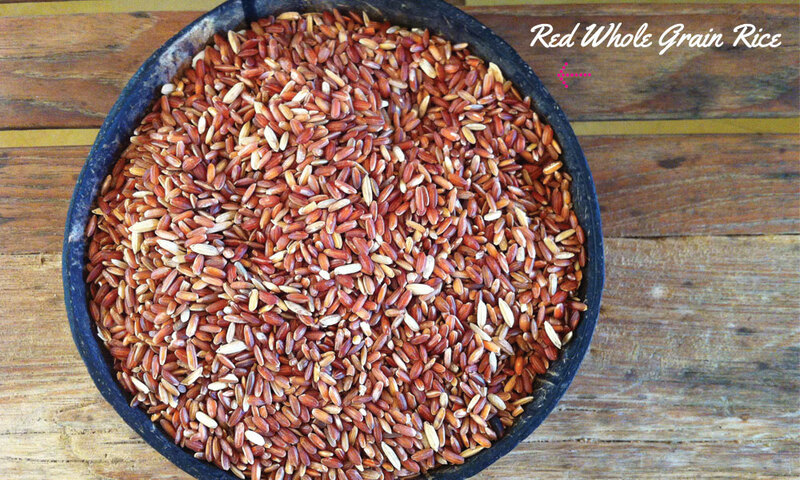 Red rice, rich in antioxidants is usually mixed with together with brown rice and consumed in a similar fashion to white rice. 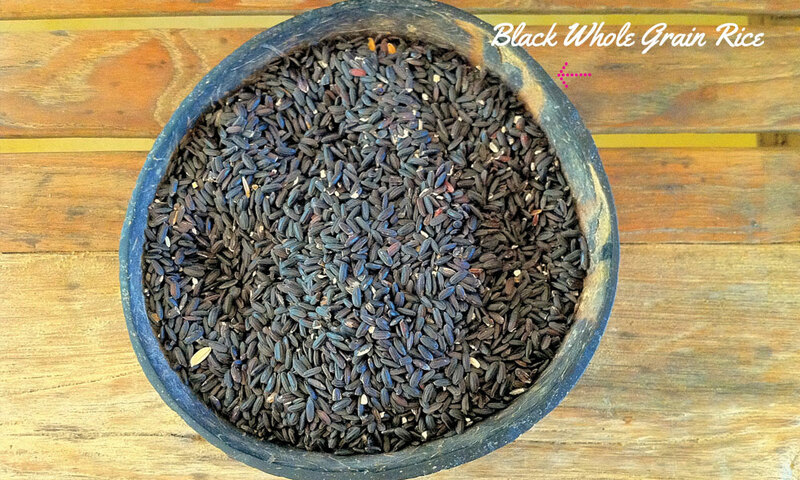 Black rice, when prepared properly, can be very delicious and fragrant. We love this Recipe for a beautiful Black Rice and Prawn Salad! We doubt you are unfamiliar with this (Quaker oats!). This can also lower cholesterol and is an easy meal for breakfast. 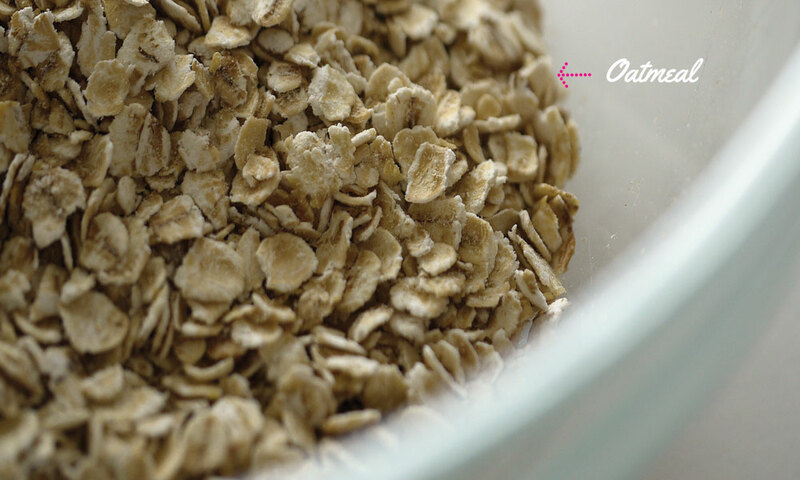 They are much easier to prepare and we recommend getting the quick oats and not instant ones, as the latter has unneeded additives in it. Find it too bland? Add some honey or fruits like mango, blueberries or strawberries. 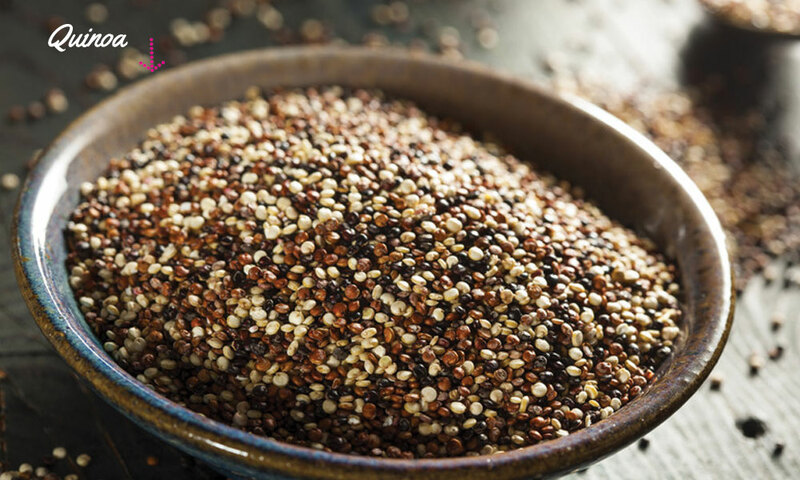 Pronounced as ‘keen-wah’, and deemed a superfood, quinoa boasts a high protein and iron content. Technically not in the grain family, it is grown primarily for its seeds and not usually used in Asian cuisines – we say there’s a first time for everything! Like most grains, it can be easily cooked with water (overcooking results in a soggy mush) and tossed into some light salad or vegetable broth – your meal is made!